LGC research indicates that 86 authorities are considering or have decided to increase council tax in 2013- by as much as 7.8% in one case. Last year, only 35 – a tenth of all 354 authorities - rejected a similar freeze funding offer, according to official figures. 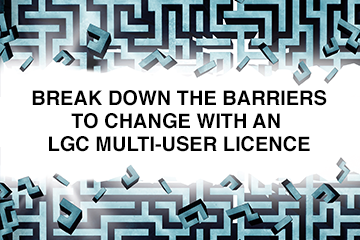 As LGC went to press, the council tax proposals of 249 authorities were known, including 154 intending to freeze the charge in 2013-14 and nine authorities intending to reduce bills for residents. Regional analysis shows that London and the Midlands had the lowest proportion of councils which are considering or have decided to increase council tax. The south east and northwest had the highest proportions of councils. Those freezing and cutting council tax will be eligible for the government’s freeze funding, which is equivalent to a 1% rise in both 2013-14 and 2014-15. However, a significant minority – 24% of the 354 councils which will be setting council tax levels by 11 March - are set to reject the funding and increase council tax by between 1.5% and 7.8% in April. With more than 100 authorities still to announce their intentions the proportion of increasers is likely to rise before the final deadline. Political analysis shows that 22% of Conservative authorities have plans to increase compared with 32% of Labour councils and 17% of those controlled by Lib Dems. Our analysis also shows that a greater proportion of single tier metropolitan and unitary authorities have plans or agreements to increase council tax compared to other authority types. Thirty-nine per cent of unitaries plan to do so and 31% of metropolitan councils. However, only 13% of London authorities have plans to increase the charge. Of counties, which are all facing elections in May, just 11% are proposing increases while 23% of districts intend to impose a council tax rise. Ministers have urged councils to accept the freeze funding, arguing that residents should not be asked to pay more during difficult economic times. Councils ignoring their advice have cited the need to protect services and concern about the long term impact on budgets of accepting freeze funding which is only available for two years. Croydon LBC leader Mike Fisher (Con) said the authority’s proposed 1.85% increase was an increase “most local taxpayers would be prepared to fund” in order to “protect investment in schools, in schools improvement, in a whole range of council services”. For full details on council tax intentions visit LGC’s blog. Two fifths of local authorities have opted to increase council tax this year and rejected the government’s freeze funding, according to official statistics published today. The tax freeze cuts vultures will come home to roost once Eric Piffles finds the Treasury has emptied his pockets.